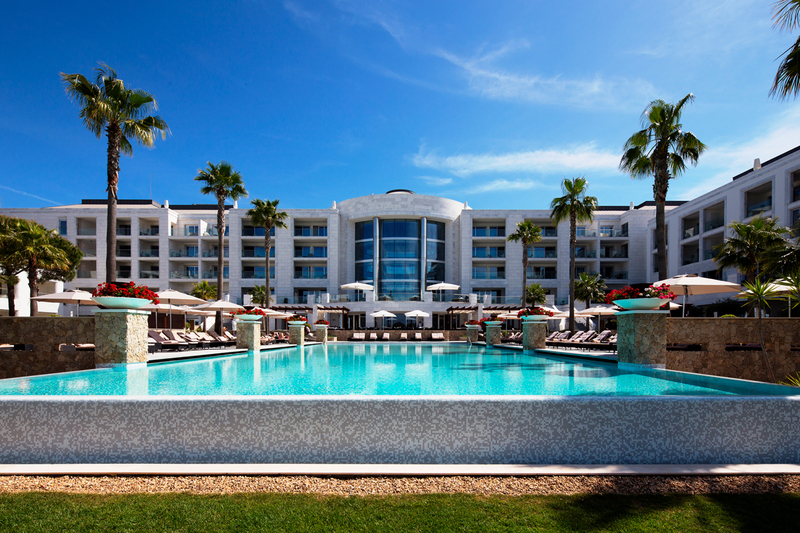 Katharina Schlaipfer, who has lived and worked in several European countries, is delighted to be the new General Manager of the Conrad Algarve. She is arriving directly from Florence, Italy, where she managed two Hilton properties for several years while previously, she also held positions in France and Belgium. 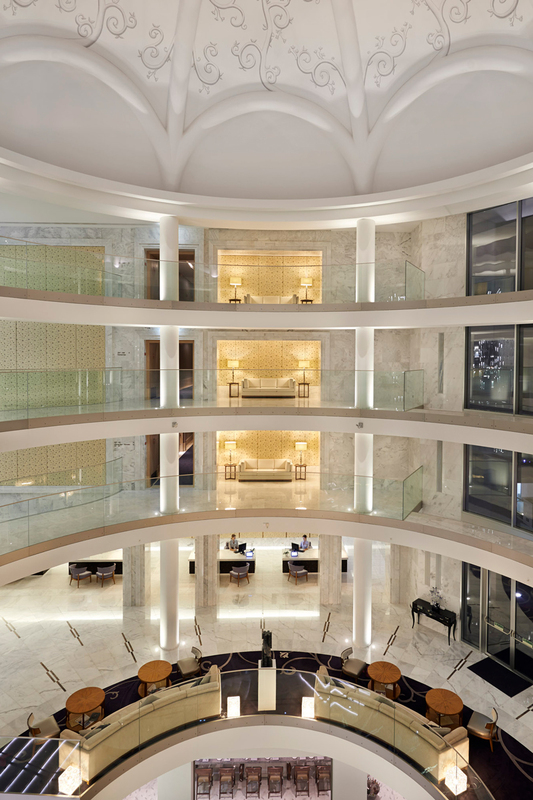 Her time in Italy has included the opening of the Hilton Molino Stucky in Venice, plus seven years in various capacities at the Rome Cavalieri, Waldorf Astoria Hotels & Resorts. 5 Star Luxury hotel. Delight comtemporary travelers with bespoke and inovative experiences. 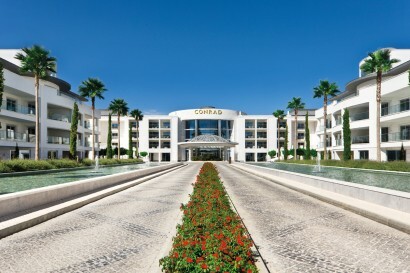 Conrad Algarve sets a new standard of luxury and service in the Algarve. The core element of the hotel, which separates it from its direct competitors, is the bespoke service offered to each guest. 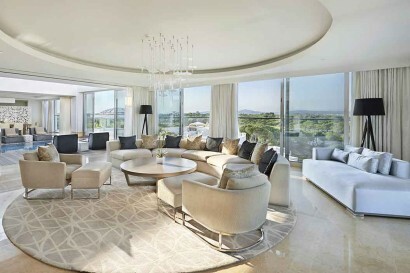 Conrad Algarve signifies another landmark opening for the brand and reflects the growth of the portfolio and global expansion. Conrad Algarve joins more than 20 hotels worldwide with the Conrad Hotels & Resorts set to double their portfolio in the next few years. 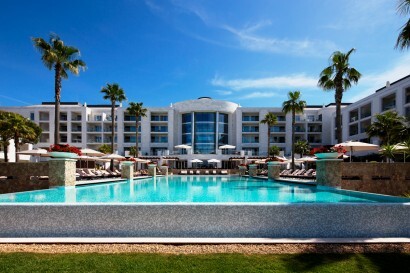 Conrad Algarve offers guests a luxurious break in the Algarve in a world of style, service and connection. 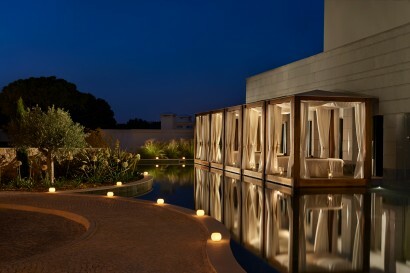 The 154 room property evokes a true sense of place, from the 18th Century Portuguese palace design, to the local ingredients used in the spa and extensive gastronomic offerings. Conrad Algarve guarantees a tailor-made retreat experience with a discreet yet engaging service in a striking contemporary property. 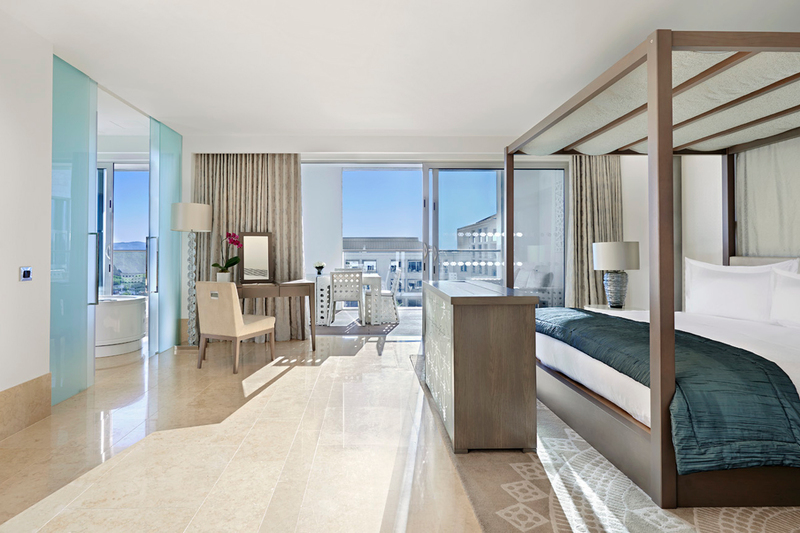 Ensuring a stylish getaway, Conrad Algarve is an opportunity for guests to experience smart luxury in contemporary crafted surroundings. Unrivalled connections mean that guests enjoy insider access and an opportunity to connect with the local culture. With a tagline of The Luxury Of Being Yourself, a key feature of the property, is to sense each guest’s favourite desires to ensure a tailored experience. Service is discreet yet engaging and flawless. This service experience also extends to children visiting the property, with a children’s menu and activity plan designed by children, for children. Located in the stylish Quinta do Lago area of the Algarve, the property is set within two thousand acres idyllic landscape within the Ria Formasa National Park. 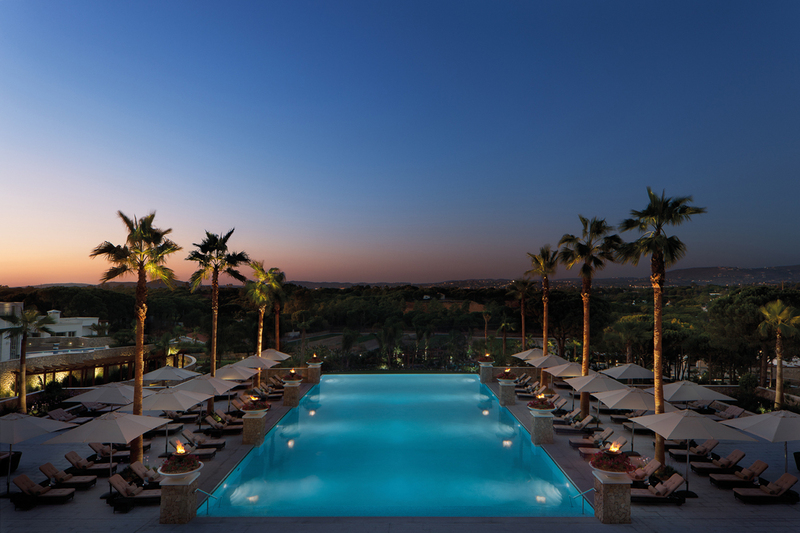 Just five minutes from the beaches, some of the best golf courses in the world and 20 minutes from Faro International Airport. • Race cars driving experience at Algarve International Motorpark. 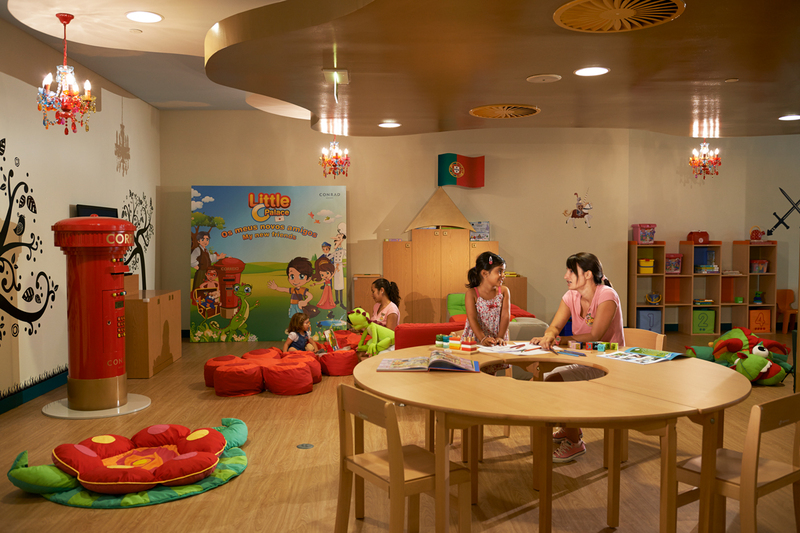 The Little C Palace is a holiday experience “designed” by and for kids, that offers both safe care and a unique world of interactive and surprising fun, respecting every child’s individuality and connecting with local culture. 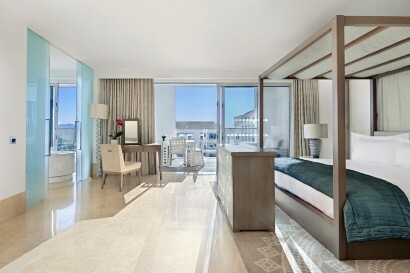 • 154 guestrooms: 134 rooms, 20 suites inc Conrad Suite and Roof Garden Suite. has a separate bathtub with a built in TV, or if you prefer a shower, a rain shower set in marble, and offer soft cotton bathrobes and slippers. 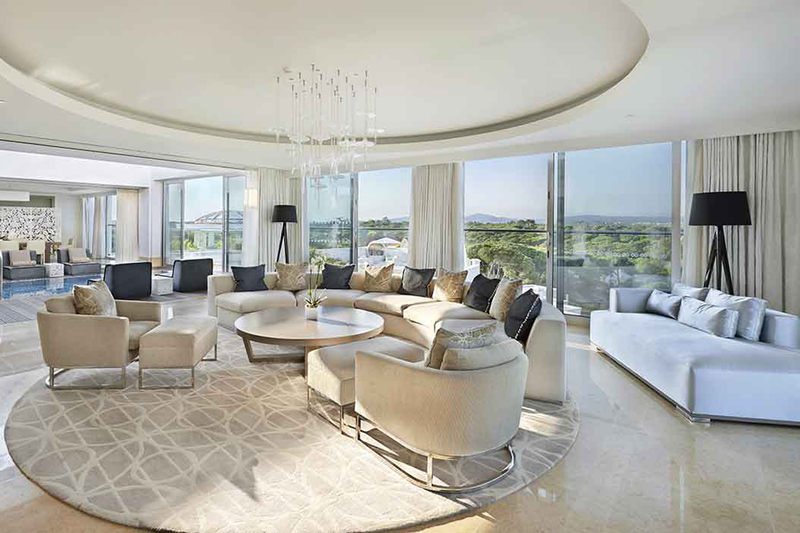 • The Conrad Suite is a 101 m2 haven of contemporary luxury and features a stunning bedroom with a King size bed, a spacious living room, an elegant private dining room and the services of your very own personal host. The world class views from the private balcony, which has a 90 degree view of the pool, is overlooking the hotel grounds and the surrounding countryside. 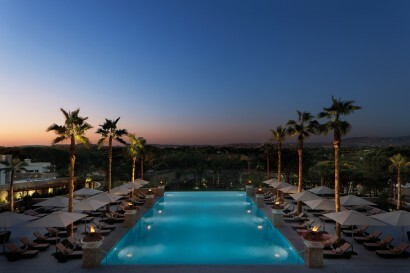 • The ultimate expression of contemporary style and luxury; this 300 m2 sanctuary features an infinity pool in the living room overlooking the hotel grounds and countryside. With its own private entrance, personal parking and Spa access and a 180 m2 Roof Garden Terrace, this is the ultimate expression of smart luxury. Contemporary Mediterranean dining inspired by the 3 Michelin-starred chef Heinz Beck, with Scandinavian design that pays homage to Conrad Hilton’s father Augustus. Our guests have the opportunity to discover the pure, prime and simple ingredients from all along the Southern European coastline. Executive Chef Andrew McGie = Modern cuisine inspired by Portuguese culinary heritage, featuring authentic local and seasonal produce. 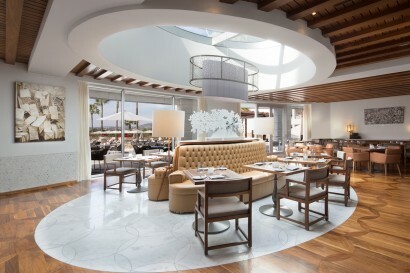 Lago is a sophisticated all day lounge perfect for savouring Portuguese and International delicacies or simply catching up with friends. The perfect place for a tropical rendezvous, an evening party or just a quiet spot to enjoy a beautiful sunset. Order seasonal fresh fruit, artisan ice creams and indulgent treats whilst the afternoon slips away. The luxurious 1800m² Conrad Spa is an evolution of sophisticated spa culture, embracing and blending a modern holistic approach, in a contemporary way. 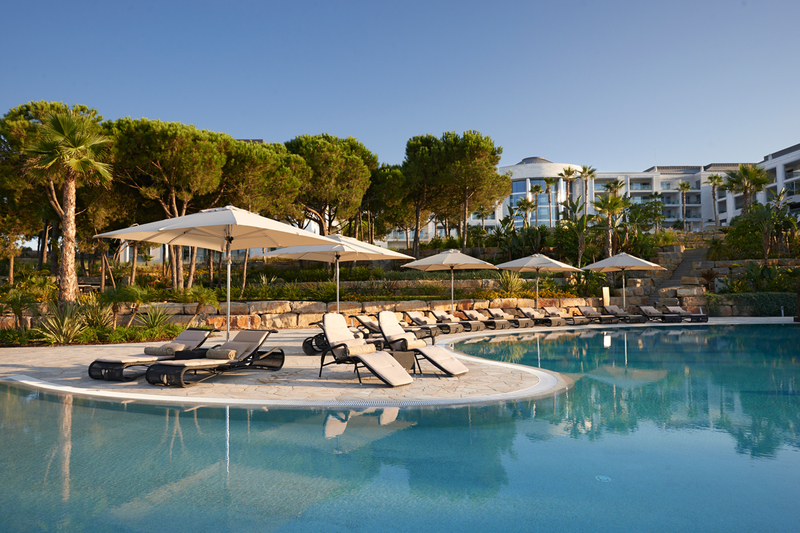 Conrad Algarve hotel will provide you with natural surroundings, innovative facilities and flawless service, with the versatility to accommodate a range of different event set-ups. 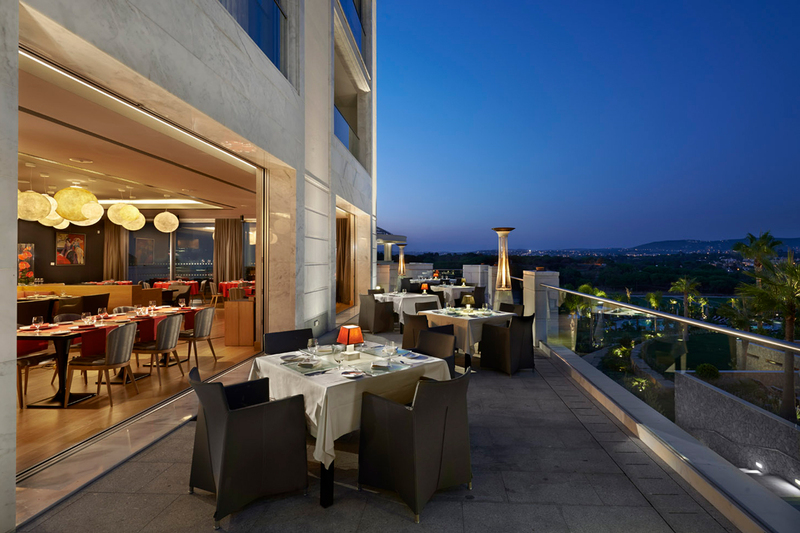 You will find Conrad Algarve’s event spaces to be dynamic and flexible, offering you the perfect conditions to host a memorable event. 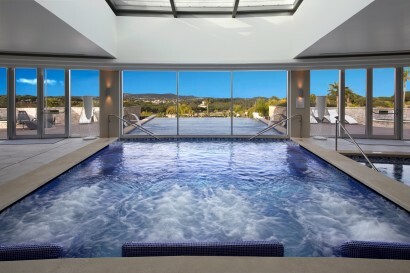 • Fitness room for Yoga, Zumba, etc.